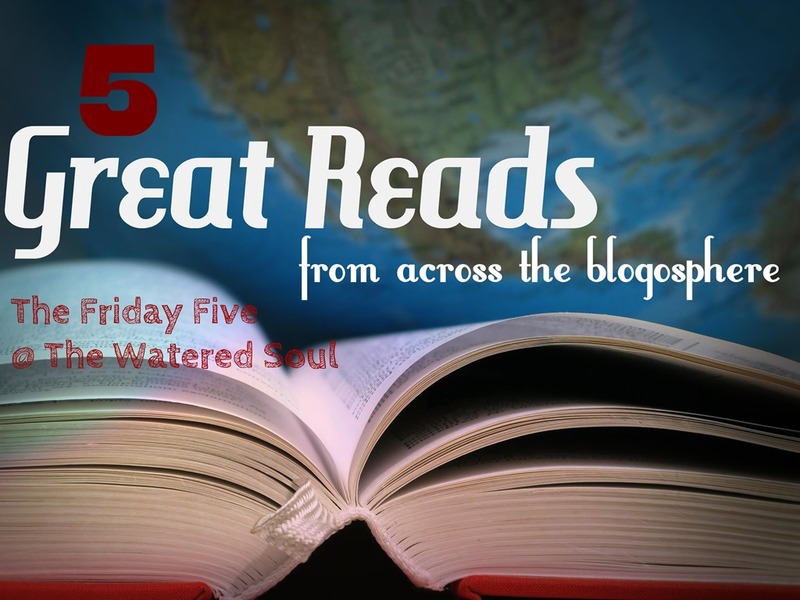 Welcome to another edition of The Friday Five here at The Watered Soul. It’s where I share a few of my favorite reads during the week. A small way to shine the spotlight on various bloggers across the blogosphere sharing intriguing content. I hope your week has been a great one and may your weekend be even better. Do you ever have those moments when you are afraid to hit the publish button? I do so I could relate all too well with what Ashley shared and she reminded me to keep writing anyway. When you have been hurt or disappointed repeatedly, you can begin to close yourself off and vowed never to trust again. Debbi reminds us of the many ways the enemy uses to prevent true healing. Like a master story teller she weaves a beautiful lesson of blueberries and spreading the message of salvation to those who are ripe and ready to hear the message of salvation. But doing so may require us to leave our places of convenience and comfort. This guest post by Alex left me thinking about questions I hadn’t really ever pondered as a reader. It’s no secret I love to read. Below are the questions he posed. Should an author’s moral compass be reflected in his writing? Does it depend on the genre or does it depend on the author? What about thrillers, crime novels, or horror, genres that require a dark center? Now here is your chance to share some of your favorite reads or writes this week. And if you have moment, take time to visit a few of the blogs that I have recommended and those who have linked. Ahh happy to hear that I was able to send you encouragement. Keep pressing on. Alex’s post made us think and got the conversation going. Thank you Alex! Thanks for sharing this great find Beth! I love to see writing as a topic. 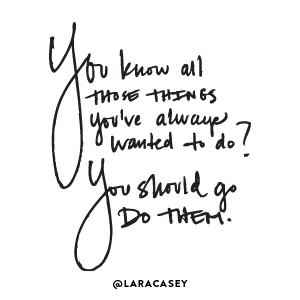 I have often, maybe too often, wanted to quit, sometimes out of lacking confidence or just weariness. Thanks for passing on these encouraging words each week. I’m glad others find these little tidbits of inspiring post encouraging. No don’t you quit writing. I enjoy your writing style. Not always able to comment but I’m definitely reading. Have a great weekend LaVonne. There are just a few of the good reads I’ve come across lately. Hope you have a wonderful weekend! I really enjoyed Jamal’s and Ashley’s very varied points of view. We learn so much here in this blogosphere, Wanda. Thanks for sharing these posts with us. Alison Hector recently posted..My Flava-Fave Chicken recipes: Two thumbs up! My pleasure Alison. There are so many good reads in blogland. Hope you enjoy a wonderful weekend. Hi Wanda! How good of you to share these gems with all your readers. I see that your generosity really helped Blue Cotton Memory. Makes it all worthwhile! Seeing Blue Cotton’s comment was a great encouragement to me. Happy Friday to you Ella. Lol…sometimes it’s hard for our fingers to write what are brains are thinking. Thanks so much for the shout out Wanda! 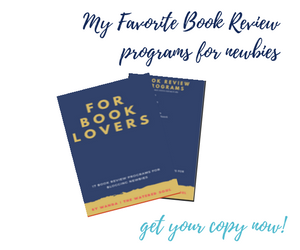 I can’t wait to read your other recommendations too!! You’re welcome Debi. I really enjoy your article. I needed that and so appreciate it! That one spoke to me as well. I want to reach that place fully. Hope you have a great week Jennifer.